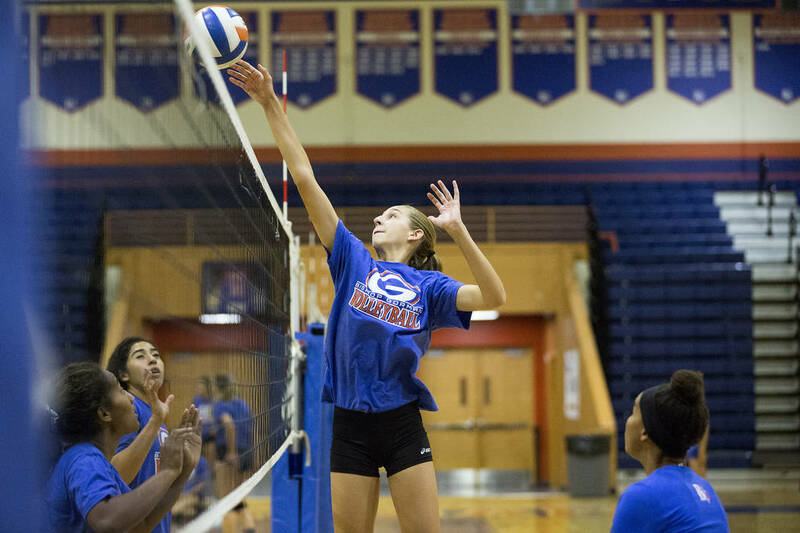 Bishop Gorman’s girls volleyball team enters the season ranked No. 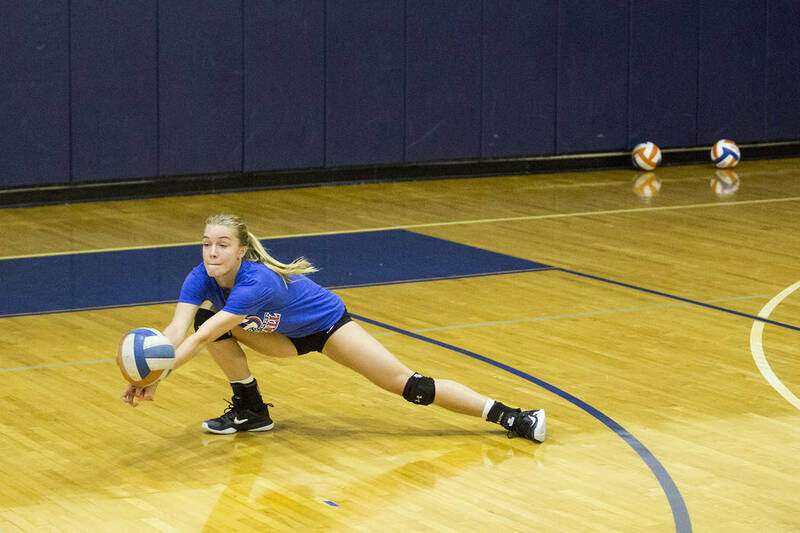 41 nationally, according to PrepVolleyball.com, and should be the overwhelming favorite to repeat as state champion. 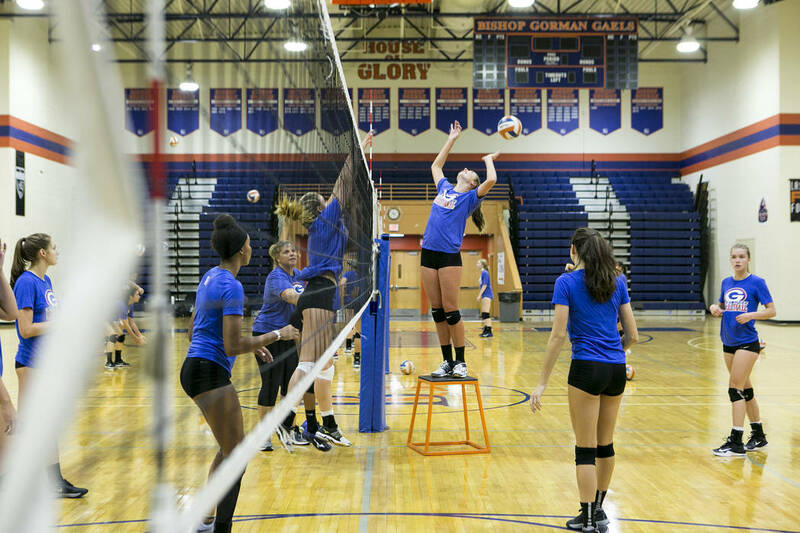 Sharing a gym with a boys basketball team that has won six consecutive state titles, and being a stone’s throw away from a football mecca that houses the three-time defending national champions, it’s not hard to see how Bishop Gorman’s state-winning girls volleyball team flew under the radar last season. But the anonymity the Gaels had is long gone. Since defeating Reno High in the state final last November, the Gaels have shot up the national rankings and enter their current campaign with lofty expectations. 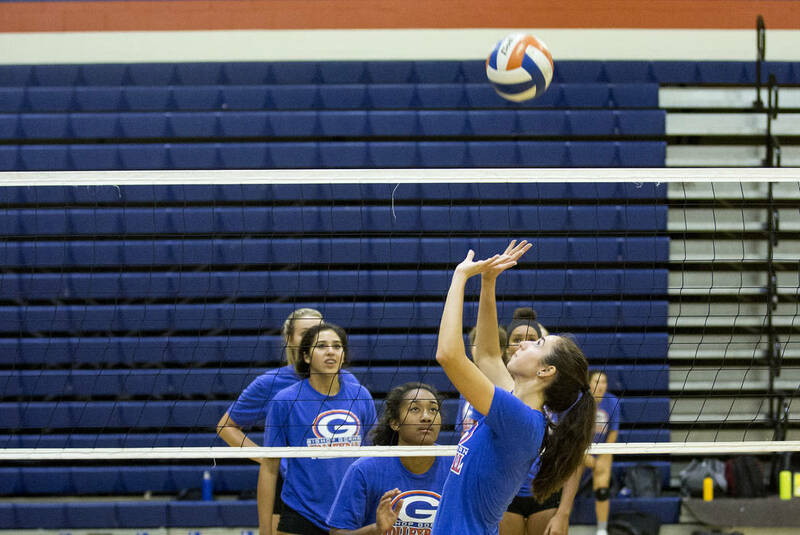 Gorman is ranked No. 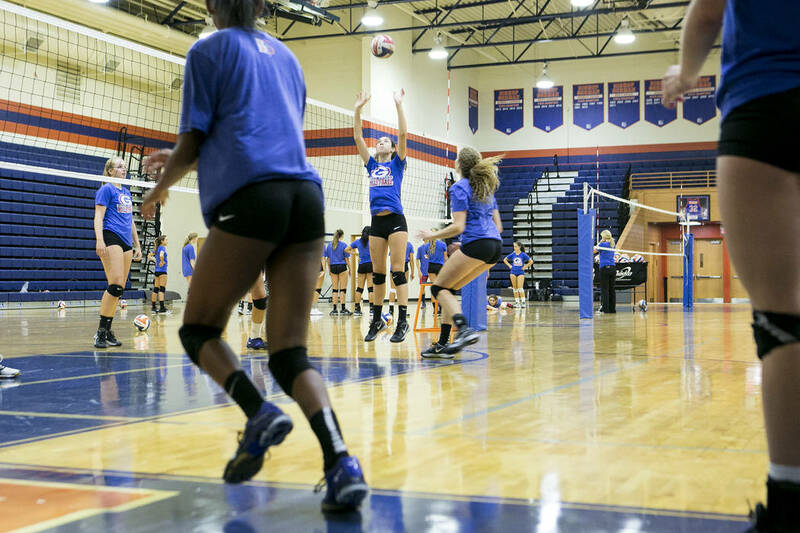 41 nationally, according to PrepVolleyball.com, and should be the overwhelming favorite to repeat in Nevada. The Gaels return nine lettermen, including five starters, from a team that finished 29-10 and 12-0 in Southwest League play last year. Sydney Lobato (594 assists, 86 aces, 30 blocks), Lilly Hoff (481 assists, 41 aces, 142 digs), Tommi Stockham (282 kills, 52 blocks), Kylie Gibson (229 kills, 23 blocks) and Sarah Lychock (277 digs, 50 aces) lead a balanced attack. 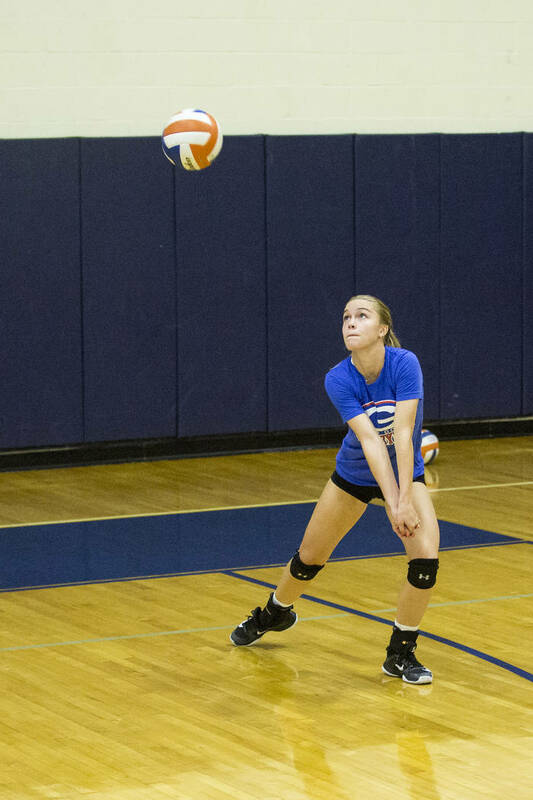 Stockham, a sophomore who is committed to Southern California, was a second-team all-state pick last season. 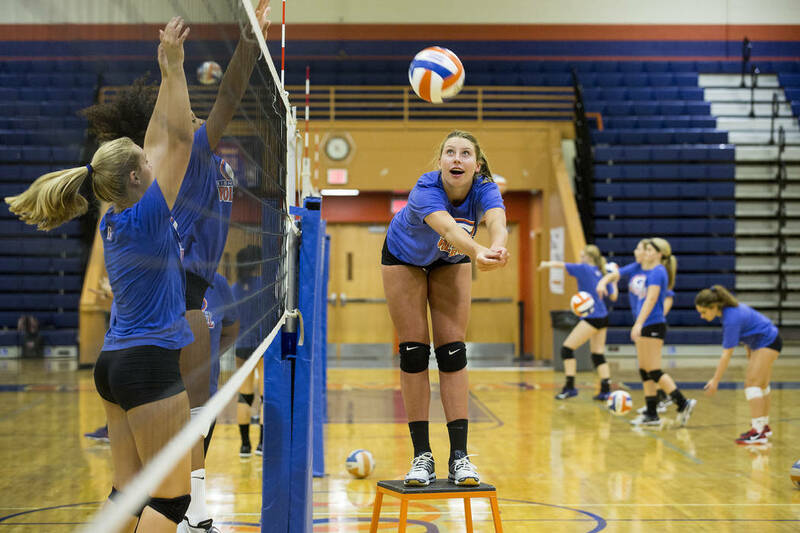 The 6-foot-3-inch outside hitter also could be in contention for player of the year honors this season while receiving sets from Lobato and Hoff. The Alabama Birmingham-bound Lobato also hopes to set up the Gaels for the future in her last season. 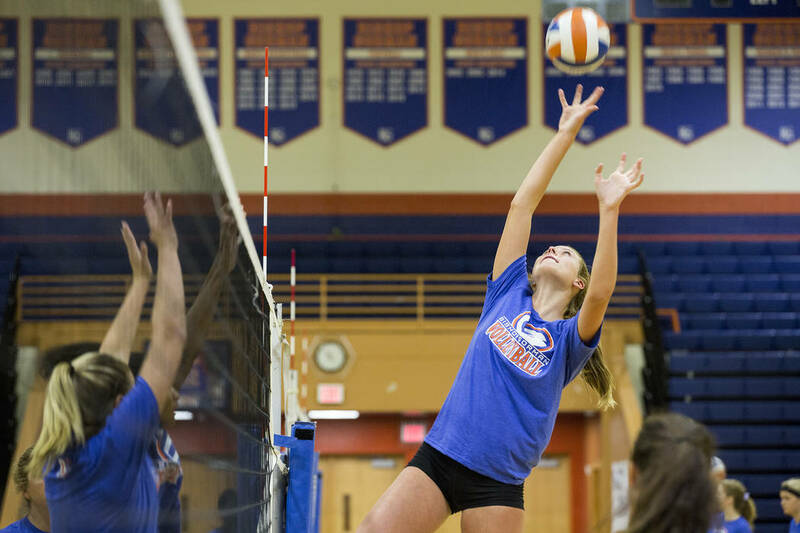 The 5-foot-9-inch setter, a second-team all-state selection, said she plans on taking an increased leadership role with the graduations of Alysia Nielson and Abbey Archambault. 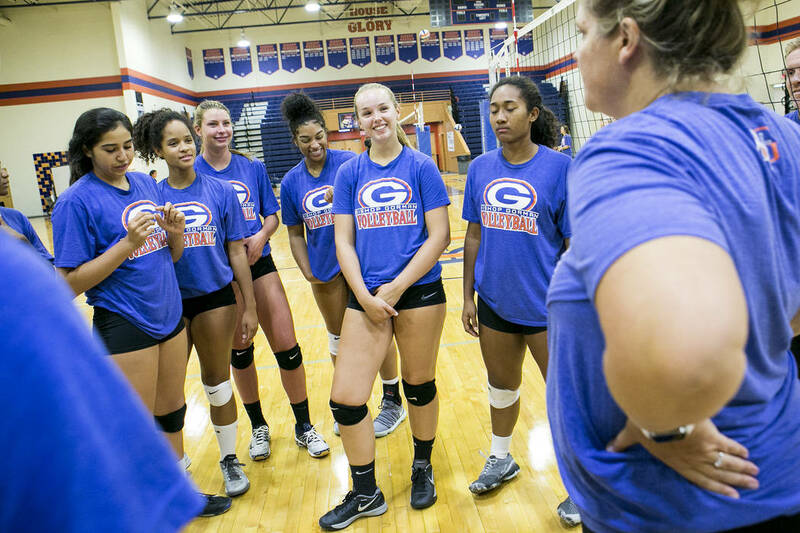 With all the youth and experience on his roster, Van Meetren can’t help but smile when considering Gorman volleyball as the school’s newest dynasty. “We’re in a position, if we continue to progress, to be on this run for a while,” he said.